To make progress in personalised medicine, researchers and doctors need access to health data. However, as a study by ETH researchers shows, comprehensive guidelines for the exchange of such data are lacking, being one of the primary factors why health data are still shared so infrequently. Personalised medicine has the potential to improve the treatment and care of patients. This promising approach has already borne fruit, with a handful of targeted therapies for cancer now in use. For example, the molecular analysis of a tumour can identify specific genetic mutations and thereby what kind of chemotherapy would be most effective. This not only improves the patients' chances of recovery, it also saves them from having to endure unnecessary and ineffective treatments. On the whole, however, personalised medicine is still in its infancy. To identify molecular causes of illnesses and develop tailored therapies, various data types from a multitude of sources must be aggregated. This entails collecting patient data from hospitals, the results of clinical tests, molecular and genetic data, as well as information about healthy people. Data sharing between hospitals, research institutions, clinicians and patients is thus essential. However, "to date, this kind of exchange hasn't been happening to the desired extent," says Effy Vayena, bioethicist and Professor at the Institute of Translational Medicine at ETH Zurich. In Switzerland, the situation is set to change. 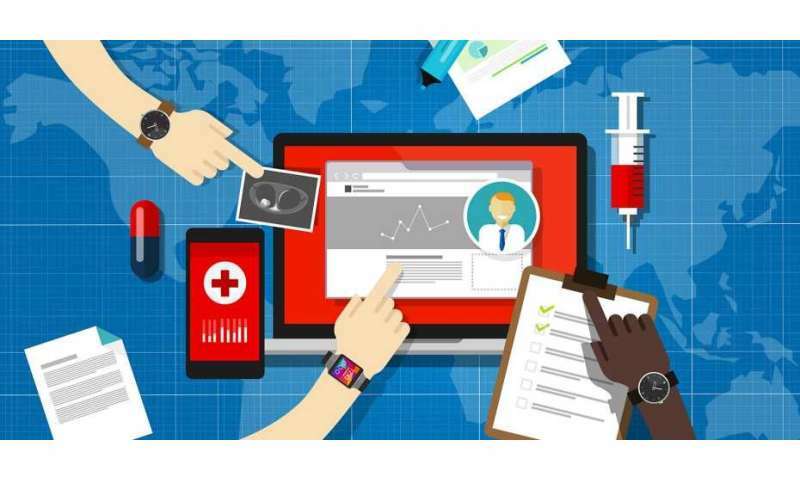 Last year saw the launch of the Swiss Personalized Health Network (SPHN), an initiative created to promote the development of personalised health through the establishment of a data sharing infrastructure. Within this network, Vayena chairs an advisory committee that deals with the ethical, legal and social implications of precision medicine. "Our goal is to develop guidelines for responsible health data sharing," says Vayena. As a first step, she and other ETH researchers investigated existing international guidelines and recommendations and analysed the range of topics they covered. They compared 230 documents published by official bodies, research institutions, expert groups and further national and international organisations between 1996 and 2017. This included publications by the Organisation for Economic Co-operation and Development (OECD), the National Institutes of Health (NIH) in the United States, and the Global Alliance for Genomics and Health. The results of this comparative study were published in the Health Affairs journal. Their investigation highlighted that there was scarcely any cross referencing between the recommendations and guidelines and, moreover, that they were not sufficiently standardised. Guidelines focused primarily on three topics: data privacy, data quality, and the sovereign right of patients to determine how their data should be used. "These topics are very important, no question about it," says Vayena. However, there are other important aspects that – viewed as a whole, across all the documents – received comparatively little attention. These include the question of who should be held responsible if patient data is used incorrectly – such as if it is used for a research project without the patient's consent. There is also the matter of how researchers can be acknowledged or rewarded for sharing their own research data with other scientists. "We won't be able to improve data sharing until we do more to tackle aspects like these," says Vayena. Currently, a variety of obstacles stand in the way of this goal. These are partly of a technical nature – for example, the fact that hospitals cannot share data because their different systems for electronic health records are incompatible. There is also, however, a reluctance amongst researchers and companies to share data. In some cases, they do not want to reveal their hard-won data to competitors; in others, they balk at the cost and effort involved in making the information accessible by putting it in a database. Adding to the issue is that patients often hesitate to give consent for their data to be used, because they don't exactly know what will happen with it. "Future guidelines about data sharing should deal with as many of the identified hurdles as possible," says Vayena, who also highlights the need to develop innovative solutions, as previous approaches did not work well enough. For example, new technologies such as blockchain could be implemented as a method of data protection. Alternatively, an incentive system based on reciprocity could be created for researchers, whereby only those who put their own research data into a database could have access to the data of others. Furthermore, digital technologies could be harnessed to allow patients the option of not giving blanket consent for their data to be used in research, but instead tying their consent to individual projects – putting patients more in control. Such considerations are to be incorporated into the guidelines developed as part of the SPHN initiative, which will then be implemented step by step. First, the guidelines will be adopted by the five Swiss university hospitals currently taking part in the SPHN initiative – that is, Zurich, Basel, Bern, Lausanne and Geneva. These hospitals are currently setting up clinical data management systems that make patient data available for research and facilitate data sharing with research institutions. At the same time, universities are establishing regional centres for the coordination and secure processing of biomedical data. Vayena is convinced of one thing: "If everyone involved in Switzerland signs up to the same well-designed standards, it will mean a giant step forward for data sharing and thus for personalised medicine."